The Professional Shop at Hornsea, East Yorkshire, is regarded to be one of the best stocked Golf Shops in the area. Convenient for Hull, Beverley and Bridlington, members and non-members are very welcome to come along and check out our great deals. Stretton C Wright Golf Shop is a major stockist of Callaway Golf Equipment, Ping, Gentlemens Clothing, including Puma, Callaway and many more. We also specialise in Ladies clothing, including Daily Sports, Rohnisch, Puma, Catmandoo and many more. We hold regular sales throughout the year with many bargains. Our extensive range represent the best value around, but also reflects your changing seasonal needs. 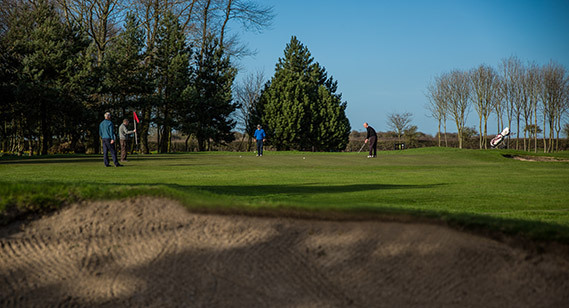 Golf Clubs, Golf Shoes, Gents Golf Clothing, Ladies Golf Clothing, Balls, Gifts and vouchers are just a small example of what is available from the shop. The shop stocks many items that make ideal prizes for your Corporate or Society Day and are all very competitively priced. 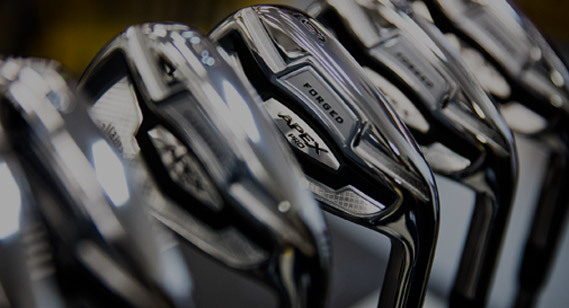 A full repair service is available for re-spiking shoes, re-gripping and re-shafting clubs and much more. Pull Trolleys, Electric Trolleys and Buggies are all available to hire. Please telephone to book Electric Trolleys and Buggies in advance to ensure availability and confirm our up to date prices. He is one of, if not the only left handed teaching professional in the area and this means he can provide valuable feedback through mirroring a right handers swing.